Cern is planning to build an even bigger version of the Large Hadron Collider. I remember when the last one was turned on and many feared it would produce a black hole that would destroy the world. I imagine it’ll be identical when they turn the new one on with the exception of exchanging fear for hope. European scientists say that the news means good things for Britain. Mainly because the destruction of the Universe is now the only way the UK can avoid being a laughing stock in the coming years. The new collider has the working title: the Future Circular Collider. Which is also how I describe an upcoming game of snooker. 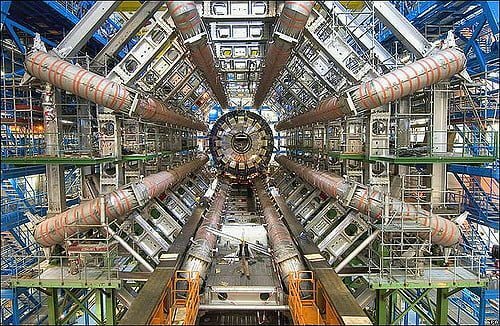 Cern published their ideas for what the collider will be like. They provided this info in an image that looks like a Venn diagram of things Jacob Rees-Mogg knows and things Jacob Rees-Mogg says confidently. The Collider is proposed to be 100 kilometers long, which would make it the 2nd largest circle in the world, just behind Piers Morgan’s mouth when he sees someone eating broccoli. It is also the 2nd most expensive ring in history, just beaten by the one on MacKenzie Bezos’ finger. The ‘worlds loneliest frog’ is set to get a date. Romeo, who scientists believed was the last of his kind, will meet the recently discovered Juliet. An expedition to a remote Bolivian forest found five of the amphibians and brought them back for breeding. “The male frog is relaxed and doesn’t move a whole lot,” said the scientists in a sentence that sounds like Boris Johnson’s efforts at European diplomacy during his time as Foreign Secretary. The frogs are severely endangered due to “climate change, habitat destruction, and invasive trout”. The latter of which is my phrase for when Michael Gove appears in my newsfeed. The hope is that the two frogs will reproduce and save the species from dying out. Which is why I find it an odd choice to name them Romeo and Juliet. What were the other options? Bonnie and Clyde? Sonny and Cher? Jeff and MacKenzie? A bunch of no-nonsense, butch, masculine men had their feelings hurt by an advert for razors. Gillette is facing a backlash after they published an ad that references toxic masculinity, bullying, and sexism. A number of men on Twitter expressed their rage by vowing to boycott Gillette. As a man with a beard, I’m upset by this. As it means my facial hair is now a way to spot a w***er. On Good Morning Britain, paragons of masculinity Piers Morgan and Jacob Rees-Mogg mourned the demonisation of male values. Mogg, who looks like something Ronda Rousey would use to pick her teeth, has no need to shave as long as he simply tells people facial hair doesn’t exist. 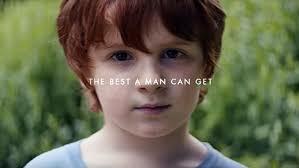 And Morgan similarly has no need for razors because hair simply finds him too unpleasant to grow on. For more of this sort of thing, click on the following hyperlink. PS. Hey Jeff Bezos… hahahahahahahahahahahahahahahahahaha.